Advt No: .q Transfusion Medicine and Blood Bank /AIIMS/Pat/SR/2018. 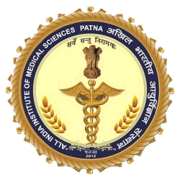 AIIMS Patna Recruitment 2019 - Walk in for Senior Resident Posts - Dept of Transfusion Medicine and Blood Bank in Department of Transfusion Medicine and Blood Bank, AIIMS Patna, Patna, Bihar on Ad hoc Basis. Candidates are invited by AIIMS Patna to attend walk-in-interview to be held on 19 Feb 2019 for 2 vacancies. Pay the Examination Fee through Demand Draft drawn in favour of “AIIMS Patna” payable at Patna. A graduate (MBBS) degree and postgraduate (MD/ DNB) degree in Pathology/ Transfusion Medicine from a recognized University/ Institute from MCI for senior resident. Eligible candidates may appear for interview along with duly filled application form in prescribed format and self-attested copies along with originals, photocopies of relevant documents and one passport size color photograph and original documents for verification. (ii) Certificate of SC/ ST/ OBC (Non-creamy Layer) from the competent authority if applicable. (viii) NOC from the present employer (if employed).